Church on a Ledge – I'm sozoed! It started early in the morning when I was worshipping my God. 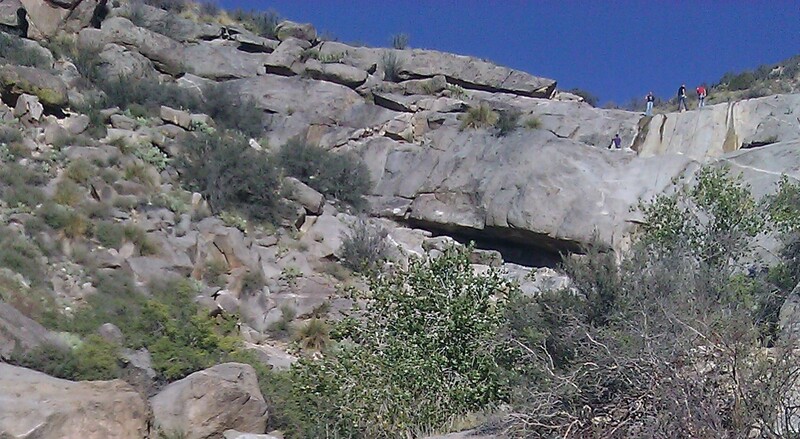 I saw an impression of playing my guitar up in the Sandias on a granite ledge worshiping the King of Kings. I knew exactly where this place was as it is a fun place to quickly get out of town and into the mountains. So I decided that is what I was going to do after church today. I also felt like I needed to invite Joe from New York with me. I pack up the guitar, put it the car and off I went to church to help out with Impact Nation’s Heaven’s Impact conference. After a few minutes of driving I cross Southern Blvd. at Country Club Dr. and see an individual in a black trench coat with a cane. He was hunched over walking very slowly expressing signs of sharp jolts of pain. My heart gets pulled but I continue to drive on with the following dialogue playing out in my head. I really wanted to stop but the commitments I had made were fighting for absolute attention. There was a battle that that was raging in my head for what seem like a few minutes but in reality was only just a few seconds. I continue to drive on . . . But Holy Spirit urged me with a stronger conviction. He pretty much said, “Don’t put those things above my precious ones. I will take care of it.” When God says He’ll take care of it, guess what . . . He’ll take care of it! So I flip a U-turn and ask the guy where he was headed. I flip another U-turn and head back in the original direction I was going. That made me feel better and excited that this was going to be a good meeting. We talk a bit more about where he works and I finally figure out exactly what pizza shop. It wasn’t too far out of the way and it didn’t really matter because I knew God was taking care of it. This poor handsome young man looked to be in his early to mid twenties but his body looked like it had been through a beating if not a war. I asked him what’s with the cane. That was pretty strange. He went from broken rib to liver. Maybe he felt like he was in a safe place to disclose what he really felt was going on. Who knows but either way he did. So I ask . . . I lay my hand on his side and he moves it to the spot it was hurting. I pray. So I pray again and he said it felt a little better but not much. He did say he felt much more relaxed though. I was happy and told him how much God loves him. So much that He picked him up to give him a ride to work. He then begins to talk about how he believes in God and how he studied anthropology and different cultures in school. We pull into the parking were he works and we sit and talk more about God for a while. I continue to poor our Fathers love into him and tell him that he is cherished and valued. How He is very different then any other god. He thanked me greatly and off to work he went. I look at the time and go wow. I am gonna be really late. Oh well . . . God has my back. Once I get on to 528 / Coors Blvd I get green lights all the way to Paseo del Norte. This rarely happens by the way 🙂 I look at the time and I am like ecstatic. I am gonna make it to church at a decent time! I get green lights all the way from Paseo to church. I didn’t even have to stop at the light on the off ramp of I-25 to Jefferson. It stayed green for an uncanny amount of time. It was pretty amazing. Sure it’s traffic lights. Doesn’t seem like a big deal, but when you’re the lead for all the ushering and greeting at a conference that proves to be completely different each day you want to be there early enough to ask the right people the right questions so you can stay on top of things . . . right? I got there at 9:30am on the dot. Now that was pretty fun. Little did I know this would be just the beginning to a unbelievable day in the Kingdom . . .
Church starts and sure enough things got shaken up a little and the flow changed and things were done differently. This prompted me to ask Pastor Alan if the podium was needed. So during a time where the congregation was praying for each other I go to the front of the church and ask Alan. Yeap, the podium was needed. I turn around to go find some of my ushers to help when Barbara Martin calls my name . . . I close my eyes and suddenly everything goes quite. I mean everything was so so quite and white. If you have ever been in a forest when it is snowing it is the most tranquil feeling. So peaceful but for me so exciting. It is almost as if time has stood still. Sound seems to be frozen. It is one of my most favorite times. You feel so close to your Creator. Then I feel like I am falling back and into the arms of Jesus. I then see Jesus carrying me! I could feel Him carrying me but see it all at the same time too. It was simply amazing. He then carried me over a threshold through a door way in the middle of all the whiteness and glory. I then find myself laying on the floor. Unbelievable. I start to realize where I am and I hear Pastor Alan say lets find our way back to our seats. Then it was like I was jolted into the natural with a women asking me if I would like help up. Wow! That was just . . . wow! After church was over I asked Joe if he could go up to the mountains to worship. Sadly he couldn’t as he had to prepare for his trip back to New York. That was a bummer but I told him we’ll do it next time. We drive east up Candelaria to the mountains then take a right, after you can’t go east any more, then take a left into the openspace parking lot. We park. Eat our food we had just purchased. Load everything up and begin our hike. 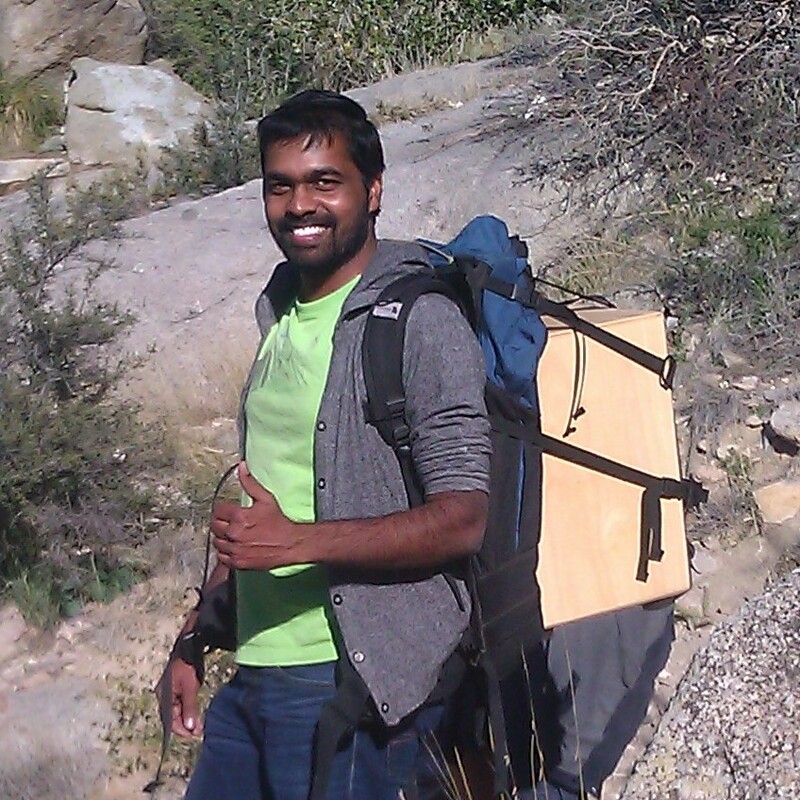 I decided not to take the cajon but Sandeep insisted we should and he wouldn’t mind carrying it. That split decision ended up being a super blessing. Off we go up into the mountains to worship our King on the granite ledge that I saw myself worshipping early that morning. That impression / vision was becoming a reality. I was excited. We get about half way to the top of where I wanted to go and run into a very nice family. We talk to them a bit and I realize we need to have worship right here right now. They were a very humble family. So I ask them if it would ok if we worshipped God and sang a few songs. They were very excited. Guess what . . . the family of four were all Believers! So cool. Turns out, that this family ended up sleeping in and missing their morning church service. So they decided that they would all go up into the mountains and have church as a family up there in the beautiful foothills of the Sandias. So we begin to worship. During the first song Philip, the father of the family, goes to help his daughter climb down from a steep predicament she got herself into. She was following Khaia up some of the rock features we were next too. As he comes back he is limping and I ask him if he is ok. He says he is ok but what he did was stupid. I ask him, “how so?” He explains that he jumped off a small ledge into what he thought would be a nice softy sandy pit but instead it was hard and his right heal landed directly on a hidden rock underneath. He said not to worry about it and that he’ll be fine. I said ok but also felt that worship had released an atmosphere of healing so I didn’t pursue anything further. We’ll just let worship shape the healing. We continue worshipping and start up another song and about halfway into it another family starts to come up the trail to my left. We continue singing as they approach. Once they reach the ledge we were are all sitting on they just stopped and stood there watching and listening to what we were doing. The song ended and we greeted them and welcomed them to join us. Turns out they are refugees form Iraq and they had just arrived 2 months earlier. My mind is starting to get blown. What are the odds of this first family being here and now what are the odds of this second family being here all the way from Iraq and only 2 months ago! Crazy!!! The new arrivals were a family of five: Dad, Mom and three daughters. The Dad asks us what that box thing Sandeep was hitting. So I explain to him it’s a drum. He asks if he could try it. Sandeep says of course and shows him how it works. The Dad who’s name was very long and had the name Abraham in it begins to play. He starts out with a different rhythm. Then says something to me. Then stops. Says something to me again and starts playing a different rhythm. I wasn’t sure if he wanted me to play along but I began to play. Then he stopped again and said something. His english wasn’t very good and many times would ask his daughter to interpret what he was saying. Then he started again with a different rhythm so I started to play that rhythm. This happened a few more times. I wasn’t sure if he thought I was a lousy guitar player or what but he would stop every time I played a little with him. I think he was just trying it out and would tell me the genera of the rhythm he was playing but I am not 100% sure 🙂 Either way it was pretty cool. But the most amazing thing out of all that was he started playing something he called an Arabic beat. Or something like that. It sounded awesome. It echoed off the canyon walls and had such a feeling of life. Then I said why don’t we worship our God. Abraham started really laying down a nice Arabic beat and I noticed his wife and daughters were being a little reserved in their worship. I said something to this affect, “Don’t worry! feel free to clap as loud as you want and dance for there is freedom here!” That is when things fell off the hook. I felt Holy Spirit flood me with song. I began to sing. Not with guitar but with Holy Spirit. I have no idea what I sang but it was something about the One true God and we worship You here. This went on for maybe 10 to 15 minutes. It was unreal. The power of God was all around. I noticed in between different times when I opened my eyes everyone had their hands in the air, clapping or dancing. I also noticed another family to our right up the side of the cliff aways just standing there listening. I saw another family or so below down in the canyon listening too. It was unbelievable. We didn’t want it to end. We didn’t want it to stop, but like everything on this temporal planet things must come to an end at one point or another. Once the singing and drumming stopped there was a moment of just awe. We were all speechless for a few minutes it seemed. Then Abraham’s family had to leave but before they left we asked if we could pray for them. He agreed and I asked if we could all hold hands. Everyone agreed. We ended up blessing them this way and that and speaking life into their situation. It was beautiful; simply beautiful. The other family that had just stood, watched and listened on the right kept their distance and continued their decent down the canyon a different way. We started singing again. Not sure how many songs we sang but during one of them one of the families that was down canyon from us had reached our location and walked by us. As they were passing they said they could hear our singing all the way down at the parking lot and very much liked it. The mother of the bunch was the last to pass and she said thank you and blessed us for what we were doing. That was pretty cool too. Sandeep and I pray again for 100% healing. If you could see the look on his face you would know his foot felt so good! Turns out Philip needs his foot to work properly as his job requires him to be on his feet. So God knew what to do because He is the lover of us all! I told them that this power comes from God and that same power lives in them as Believers. As Christians. As Christ did we are to be Christ like! So you have the authority over the enemy of this world. Over disease. Over affliction. Over all that comes against the Kingdom of God. We then ministered to his family and to him as a father and poured into him the truth of who he is in Christ. A son of God. We prayed an increase of encounters with his Father that he would see more clearly how he did when he was a child. Coming down the mountain after an amazing and miraculous time with our God! We ended up hiking down the canyon with them talking about how good God was and that we should do this again. We reminisced on what had just happened. Thankfully Sandeep got their number! So we will be in touch. We decided we were going to meet up next Sunday around 2-2:30pm after church and worship our God, our King of Kings!! As we departed from that beautiful and precious family, Sandeep and I reflected more on what happened. How that man from Iraq tore it up on the cajon. What a blessing it was that Sandeep insisted we bring the cajon. God is good! “Yeah, for sure!”, he answered. Little did we know that as we entered the parking lot there was a mini van and as we passed wouldn’t you know who was in it . . . the family from Iraq! Unreal. Are you serious!? I was like no way! Sandeep was blown away. Khaia was super excited. It was awesome! So I go up to the van and we all start talking to them again and recap what had happened earlier. We passed compliments back and forth and blessings. It was truly a precious moment. This is also where I actually learned his name but all I remember is that it was long and had the name Abraham in it. We found out that they are being taken care of by a local Catholic church and that they still had family in Iraq they were worried about. Sandeep was able to get their phone number too! They were not sure if they could meet next week but would stay in touch. It was a day filled with amazement, beauty and awe!!! If you are available this Sunday we are still planning to meet at 2-2:30pm in the open space parking lot by Candelaria. Thank you Father for such a blessed gift!!! You amaze me! I love you Daniel. You are truly amazing! Receive give life is amazing! Thanks Daniel for inviting to go to the mountains..
Its that times when it feels little strange and out of the way to do something, that God acts in those times..
Pingback: One of my Favorites | I'm sozoed!